Actively managed, the Fund maintains a concentrated portfolio of small-cap Financial Services sector stocks. 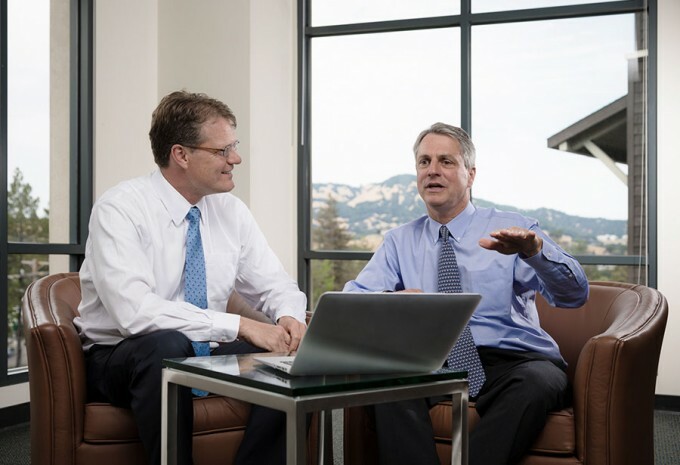 Portfolio Managers Dave Ellison and Ryan Kelley describe their investment strategy, which seeks high-quality and well managed Financial Services companies. 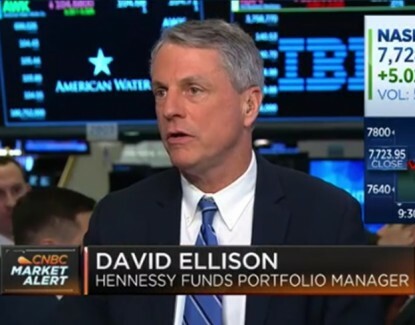 Portfolio Manager David Ellison discusses the Fed's decision to leave rates flat and shares his thoughts about why he believes this is good news for banks and the overall economy. In the following commentary, Portfolio Managers Dave Ellison and Ryan Kelley discuss the reasons behind the selloff at the end of 2018, the outlook for short-term interest rates, and what they believe is the healthy state of the banking industry going into 2019. Two key measures of the health of the banking industry have shown significant improvement and could point to continued solid profitability in the Financial sector in 2019 and beyond. Over the last two decades, the Financials Sector has become much more diverse. Financial companies operating in markets where growth is being driven by new processes and technological innovation have become an important part of the sector, offering investors high growth potential and additional diversification. Chief Investment Officer Neil Hennessy discusses recent volatility in the markets, and why he believes that the strong fundamentals still in place should reward long-term, level-headed investors who stay the course in 2019. This data illustrates the performance of a hypothetical $10,000 investment made in the Fund for the period noted, and it assumes reinvestment of dividends and capital gains. This chart does not imply future performance. Alpha measures the fund’s excess return relative to the return of the benchmark. Beta measures the volatility of the fund compared to that of the benchmark. The beta of the benchmark is 1.00. Capture ratios measure the fund’s overall performance in up markets (positive return periods) and down markets (negative return periods). Sharpe Ratio is a measure of risk-adjusted return, reflecting the average return earned in excess of the risk-free rate per unit of volatility. Standard deviation is a statistical measure of the historical volatility of a mutual fund or portfolio. Each Morningstar category average represents a universe of funds with similar objectives. The Morningstar Style Box reveals the fund's investment style as of 3/31/19. The vertical axis shows the market capitalization of the stocks owned and the horizontal axis shows investment style (value, blend, or growth). ©Morningstar, Inc. All Rights Reserved. Past performance is no guarantee of future results. The performance shown for periods prior to 10/26/12 is that of the predecessor FBR Fund. The Russell 2000® Financial Services Index is an unmanaged index commonly used to measure the performance of U.S. small-capitalization financial sector stocks. The Russell 2000® Index is an unmanaged index commonly used to measure the performance of U.S. small-capitalization stocks. One cannot invest directly in an index. Frank Russell Company (“Russell”) is the source and owner of the trademarks, service marks, and copyrights related to the Russell Indexes. Russell® is a trademark of Russell. Neither Russell nor its licensors accept any liability for any errors or omissions in the Russell Indexes or Russell ratings or underlying data, and no party may rely on any Russell Indexes or Russell ratings or underlying data contained in this communication. No further distribution of Russell data is permitted without Russell’s express written consent. Russell does not promote, sponsor, or endorse the content of this communication. Price/Earnings measures a stock’s price per share compared to earnings. Price/Book measures a stock’s price per share to book value. Portfolio Turnover and Price/Earnings shown reflect the trailing 12-month period. The Hennessy Small Cap Financial Fund pays capital gains (if any) once annually, usually in December. Ordinary income distributions (if any) are paid annually, usually in December.